I quickly put this together this morning and was wanting opinions on it :) sorry the quality of the camera is so low, but the pictures of my better made ones aren't on this computer. 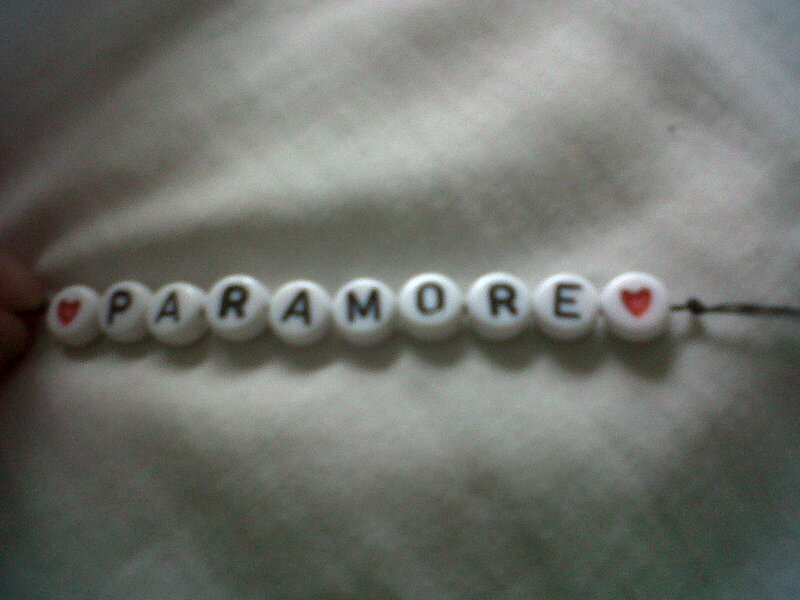 I can do any word; ignorance, paramore etc. Wow! That is awesome!! I love it!! i love this :) where did you get your beads from? Same, love it! Where did you get the stuff from? love this :) would you be able to make me one and if so how much would one cost?? Koolio!! I want one!!! I gave Hayley one that looked sort of like that, the only difference was that it was orange and it said 'Hayley' on it....You should try twisting Black, Red, & White string together. That'd be cute..